A Japanese investor is killed in the Principality of Andorra, located north of Spain. Diplomat Kosaku Kuroda (Yuji Oda) is there preparing for an international conference. Kosaku Kuroda is then ordered to investigate the murder of the Japanese investor. Kuroda meets two people related to the case. One person is a clerk from Victor Bank named Yuka Shindo (Meisa Kuroki). She is afraid someone is chasing her. The other person is Interpol investigator Makoto Kotari (Hideaki Ito) who is in charge of the case. He tries to keep Kosaku Kuroda away from the case. Also, these two people each has a dark secret from the past. To protect Yuka, the three of them head to the Japanese consulate in Barcelona where diplomat Kanae Adachi (Erika Toda) works. On the way to Barcelona, they are attacked by an unidentified armed group. Yuka worries that the armed group might be an international terrorist organization. Yoshi May 16 2011 10:12 pm Also featuring Spanish brothers Thomas and Gregory Duggan in supporting roles. Lots of hype about this one. Naomi Apr 25 2011 3:14 am Can't wait for this movie!! Amalfi was a masterpiece! 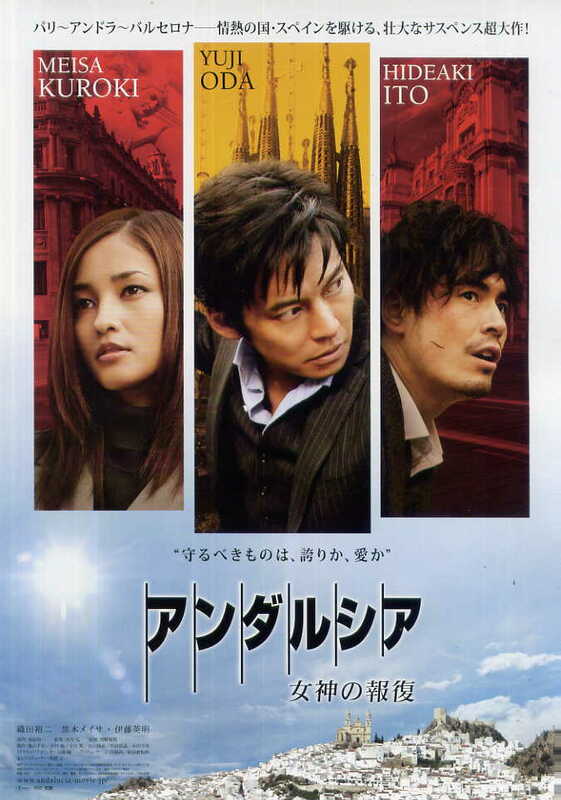 And the other cast members of this are: Ito Hideaki, Kuroki Meisa, Toda Erika and Fukuyama Masaharu.